Over the forecast period, increasing technological advancements in microelectromechanical systems (MEMS) technology as well as the rising adoption of this technology in connected devices are key factors driving growth. Of the analyzed technologies of piezoresistive, electromagnetic, capacitive, resonant solid state, and optical, piezoresistive technology is expected to enjoy the highest share in the market during this timeframe. Factors inhibiting growth include technical problems in integration and packaging processes and lack of a standard fabrication process. While the market is segmented into automotive, oil & gas, consumer electronics, medical, industrial sector, and others, consumer electronics are expected to register significant share of revenue growth over the forecast period. Caution: Contents under pressure. The typical residential or consumer fire extinguisher comes with this warning and a pressure gauge to ensure that it is in a safe zone and prepared for use should the occasion arise. 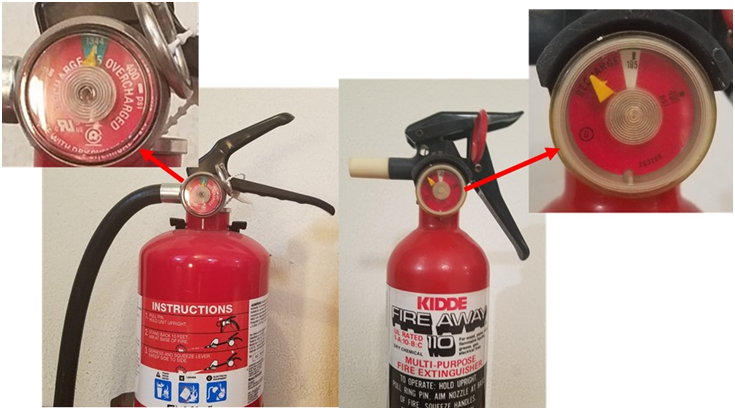 An extinguisher designed for use with a dry chemical only (ABC powder) like the one on the left in the figure is pressurized to 195 psi (1,344 kPa). Its gauge is in the green zone indicating that it is ready use. The clockwise red zone indicates an overcharged situation that could measure as much as 400 psi (2,758 kPa). A counterclockwise measurement below the safe zone, like the one on the right, means the extinguisher has lost charge and needs to be recharged to be effective. With only three pressure readings available (0, 195 and 400 psi), significant interpolation is required to determine the pressure if the reading is outside of the set range. Since the operating pressure is 195 psi and the pressure could go as high as 400 psi, tanks are pressure tested at an even higher level such as 585 psi (4,033 kPa) to ensure that they are safe. For this testing and other measurments in the manufacturing process, an accurate electronic measurement with high resolution, like the All Sensors CPM 602 Series, could provide the answer. Vacuum sealing protects and preserves food and other perishable products. Both edge-style and chamber-style vacuum sealers are used for this process. With chamber-style vacuum sealers, the negative pressures in the chamber and inside the bag are nearly always the same. 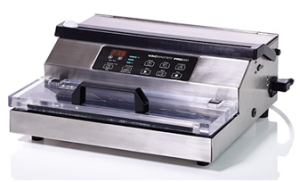 These vacuum sealers also enable special culinary techniques including vacuum-compression or vacuum-infusion. The vacuum sealing process simply consists of placing the food inside the chamber and closing the lid. Reducing the pressure to 5–50 mbar and then sealing the bag produces a tightly sealed package for most solid foods. A vacuum level of 50 millibars removes about 95% of the atmosphere and at 5 millibars about 99.5% of the air inside the chamber and packing is gone. A unit like the VacMaster PRO350 Professional Vacuum Sealer has a control panel with pre-set vacuum settings and a digital display of the vacuum level for easy operation. 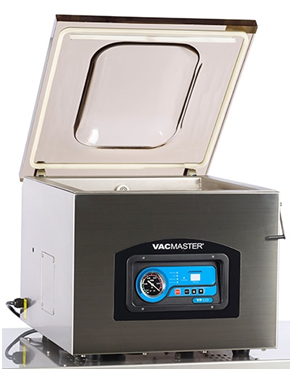 In contrast, the VacMaster VP320 Counter Top Commercial Chamber Vacuum Sealer has a gauge to provide visual feedback to the operator. Note the digital display (a) and mechanical gauge (b) on these chamber-style vacuum sealers. Source: VacMaster. For safe fuel storage and delivery, frequent maintenance and monitoring of the equipment in gasoline stations is certainly advised and may be required by federal and/or local legislation. In addition to the hazards presented by leaks, they are also costly to the service station operation. In all instances, to prevent or detect problems, pressure measurements are essential. 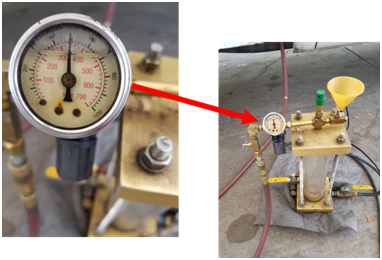 For example, static pressure testing for fuel lines and gas stations requires a pressure gauge to ensure that everything is working properly and not leaking. Test equipment to verify this performance can range from sophisticated and expensive to straightforward and cheap. The 50 psi (345 kpa) static pressure reading. Note fuel in the gauge. For many years, Stage II Vapor Recovery Control in gas stations (aka gasoline dispensing facilities or GDFs) was required by many regions in the U.S. To quantify the vapor tightness of vapor recovery systems installed at GDFs equipped with pressure/vacuum (P/V) valves, the designed pressure setting of the P/V valves has to be a minimum of 2.5 inches of water column (inches H2O) to verify the 2-inch water closet (WC) static pressure performance of the system. However, since the early 2000s, many vehicles have been equipped with onboard refueling vapor recovery (ORVR) systems. These ORVR controls have essentially eliminated the need for Stage II vapor recovery systems in service stations.